NO.1 ALBANY CLOSE IS GOING TO BE A STAR! Lusso Homes is delighted to announce that our latest show home – No.1 Albany Close, Blackhills – has been selected to appear on ITV next month! The filming is taking place in late November and our beautiful property will be part of an advert for a daily competition throughout December. The advert will feature on both Good Morning Britain and Lorraine. In light of our very exciting casting and impending stardom, we thought we would take a look at some other high end properties in the area that have been used in the glitzy world of film and television. The stunning, historic, grade II listed building played home to Maggie Smith’s character, Lady Violet Crawley, in the highly successful and popular period drama. However, the history of Byfleet Manor is far more interesting than just being a TV set. For hundreds of years, the Manor was owned by the monarchy. Edward II appears to have stayed frequently and Edward III gave it to his mother Isabella. It continued to be granted by the Kings of England to their eldest sons until the time of Henry VIII, who is said to have spent much of his boyhood at Byfleet. A truly historic property! 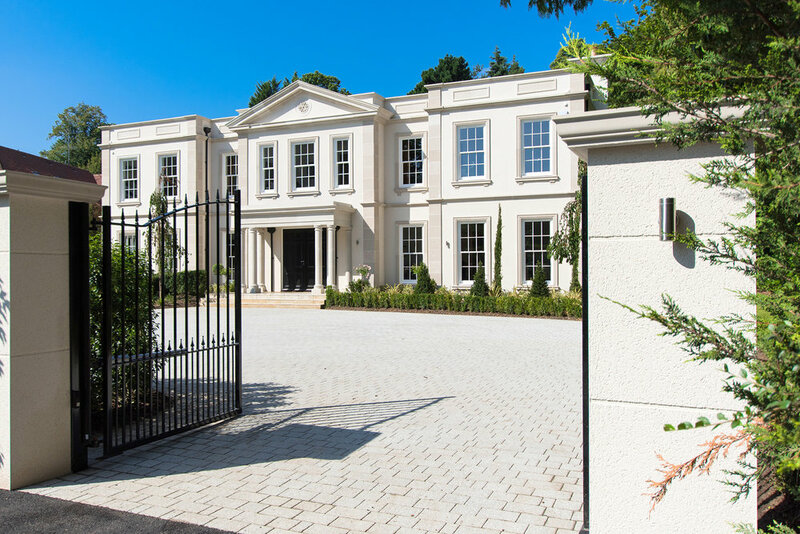 Botleys Mansion in Chertsey, located in the same area as Foxhills and Queenwood Golf Clubs, has been the setting for more than one final episode of the award winning reality TV show, Made in Chelsea, which chronicles the lives of an affluent group of socialites in West London. The perfect setting for a high class party thrown by some of the richest young people in London! Built in the 1760’s, the grounds of the mansion are approximately 2 miles square and the property is predominantly used as a wedding venue. St Ann's Court is a Grade II listed 'Moderne' detached house in St Anns Hill, Chertsey, Surrey, designed in 1936 by the Australian-born architect Raymond McGrath. It features in two episodes of Poirot. Once as Sir Charles Cartwright's house 'Crow's Nest' in the episode called 'Three Act Tragedy', and later in an episode named 'Mrs MGintys Dead'. St Ann's Court was once owned by Roxy Music guitarist Phil Manzanera, and was where the band recorded some of their biggest hits. Legend has it that Bryan Ferry and Manzanera cooked up the music for 'Over You' in just five minutes at Manzanera's home studio, while Paul Weller and Pink Floyd's David Gilmour also recorded there.